Quirky NY Chick: The Aprons - "Day Off"
The Aprons are set to release their new album, Any Human Heart in June. Check out the video for the first single, "Day Off". The clip was directed by Benjamin Esterlis. 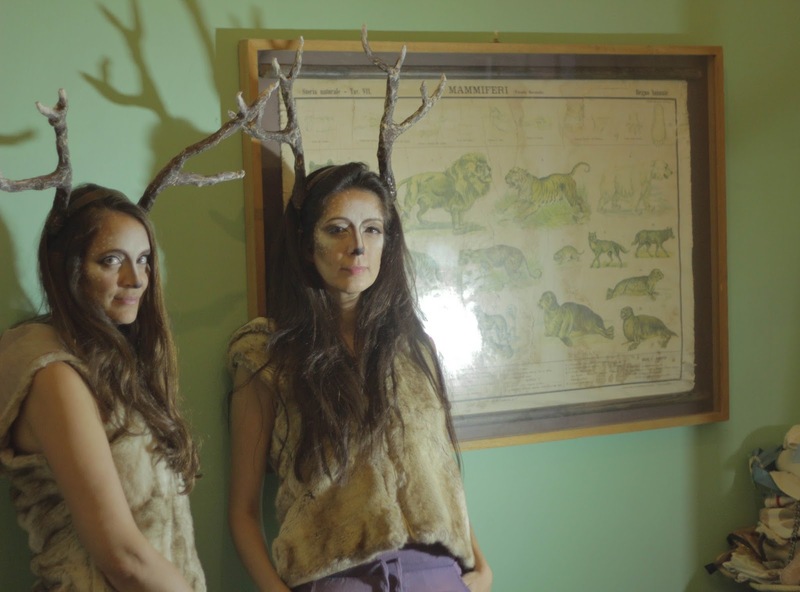 The clip, well, I'll just say, two girls dress up like deer and go into the woods with weapons. We're left to guess/figure out what happens after an off camera gun shot. It's startling, slightly bizarre and mesmerizing. You'll find yourself hitting replay on this one.